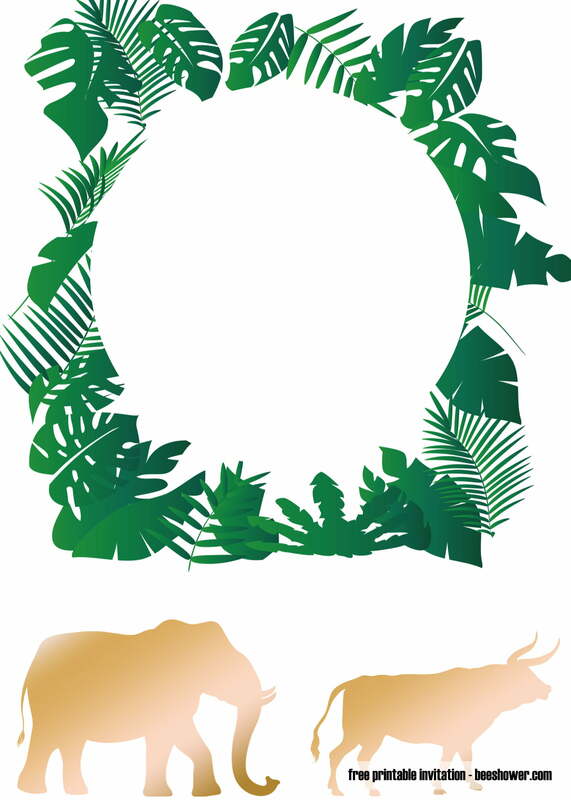 Mother nature is always perfect to be used as a theme for outdoor parties or casual parties. Be it about a garden, mountain, valleys, or even jungle, they are perfect to be used as the theme of the party. For some people, jungle or forest is a scary and mysterious place. However, jungle can also become the house and protector for those who seek protection. The beautiful scenery, the calm feeling, and the cool wind are the reason why people love the jungle. That is why, if you love nature and want to hold a casual party, you can use the jungle as the theme and finish it beautifully with the jungle baby shower invitations. 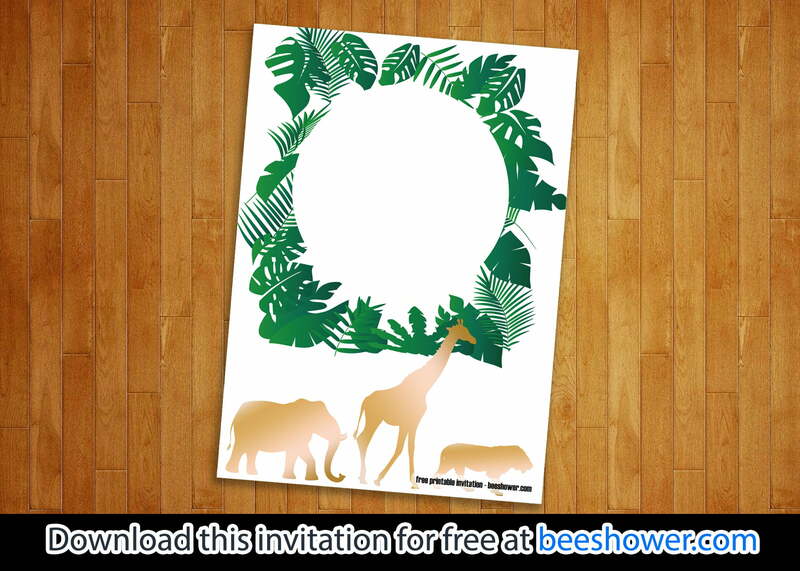 If you plan to DIY the party, you can download the jungle baby shower invitations at your home. It quite easy. You can just get into our website and choose the template that you want. After that, you can download it with a high-quality option. Do keep in mind that you can download the template for free. The next step is the editing part. In this step, you can use any editor apps that you have. You can start editing by typing words on the available space using Gaby font. Then, you can colour the words to make the invitation merrier. 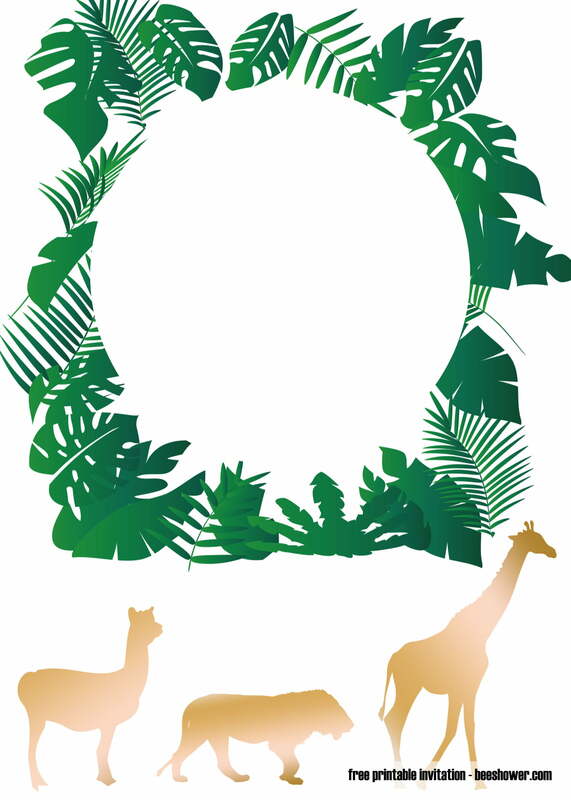 In addition to the DIY party, you can also print the jungle baby shower invitations at your home. You also do not need to be confused because you can use any kinds of regular printers that you have at home. As for the paper material, you can use the recycled cardstock size 5″x7″ to match with the theme. This cardstock will not give you a glossy finish like the other cardstocks but it is cheaper and easy to find and eco-friendly. After that, you can just line up the paper and print the invitation as usual. Easy, quick, and cheap.